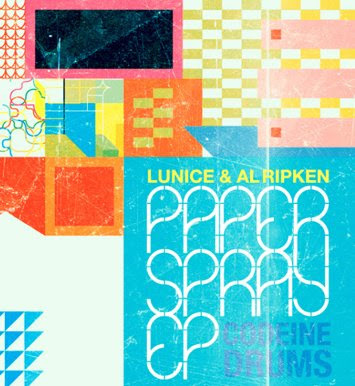 The collaboration project of Lunice & Al Ripken Jr's "Paper Spray" will be available digitally on June 26th!!! Watch out for this release from Turbo Crunk guy. I really dig his remixes thus I was glad to lift a free track from his blogspot. Trademark Weaponhouse' glitch landscapes spread over contagious melody - I LIKE!! !